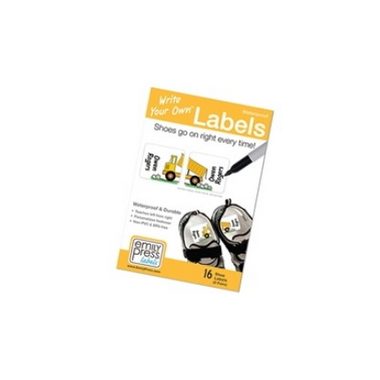 Emily Press Labels Shoe Labels have a protective topcoat already built-in for added durability. Peel and stick these contoured labels to footwear insoles. Set includes all 3 design variations.